Outstanding, Impressive, Intimidating Dubrovnik’s City Walls. The greatest city that ever was or will be. There is a lot of things to do in Dubrovnik. You definitely have to go to City Walls (you need about 2-hour walking but you have few exits if you are tired) or go to Srd hill where you can see all Dubrovnik like in your hand. From Srd Hill you will see Old Town surrounded by City Walls, the view is magnificent and you can't miss it. You can go to the hill by can or, for the whole experience, there is a Cable Car which leads you to the hill (you can buy tickets online).There is a lot of other things and locations to explore while in Dubrovnik like the Minceta Fortress (the highest point of Dubrovnik's Old Town), Old Harbour, St John's Fortress, the Aquarium and Maritime Museum, Lovrijenac Fortress which is located across the city walls and rises up on a 37 metre high cliff, Buza beach (a rocky spot beneath the city walls perfect for swimming). The Lokrum island view is spectacular. Buy Lokrum island ferry tickets here! Dubrovnik, originally called Ragusa, was founded in the 7th century by the refugees from Epidaurum, Roman city 15km south of Dubrovnik (nowadays known as Cavtat).The city is protected by the defensive walls, the majority of the walls was built in the 15th and 16th century. 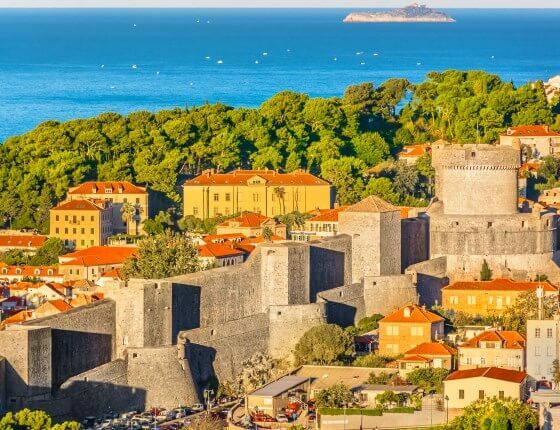 The walls are long 1940m and they completely surround the city, along with its forts.Most of the buildings and public spaces that can be found inside the city walls are built in Baroque style, the reason is the catastrophic earthquake that occurred in 1667. It destroyed a lot of Gothic and Renaissance artwork and architecture. The Sponza, Rector's palace, and Revelin fortress were the only buildings that endured and survived this disaster.The city was rebuilt in the Baroque style that has remained intact until today. The most impressive thing about Dubrovnik is that you have all styles in one package (Gothic, Renaissance and Baroque architecture). The best view of The Old Town Walls is from Srdj hill. 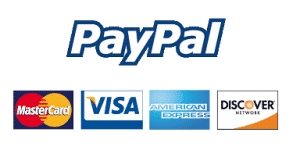 Buy Dubrovnik Cable Car tickets online! 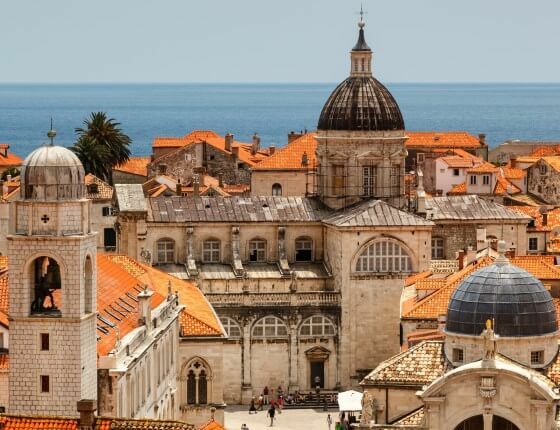 When you walk through this romantic city you feel as if you walked into a movie set.Dubrovnik is well known as the filming location of the series Game of Thrones ˝portraying˝ it's capital city Kings Landing, as well as ˝Nottingham˝in the recent Robin Hood movie. The main attraction of Dubrovnik Old Town are The Walls of Dubrovnik with its complex system of towers, forts, bastions, and casemates. Because of the City Walls, Dubrovnik is well known as a „Pearl of the Adriatic“. Walls of Dubrovnik were built in the 13th century. During the 15th century were built 15 towers as a part of the city walls, some of them are preserved until today. There used to be four gates leading into The City of Dubrovnik: the Pile Gate, the Ploce Gate, the Peskarija Gate, and the Ponta Gate. Buza Gate was opened in the northern part of the Walls in 1908 during the Austrian rule.Pile Gate was built in 14th century by Ivan of Siena. Today that is the main entrance into the Old Town and main street Stradun. There are Outer City Gates and the Inner City Gates. Outer City Gate was built in the 16th century (1537.) with a Renaissance arch. There is a wooden drawbridge that you have to cross so you can enter the Outer Gates. Inner Ploce Gate was built in the 15th century in Gothic style according to the prototype of Peskarija Gate in 1460. Above the gates, there is a Statue of St Blaise made by Croatian sculptor Ivan Mestorovic.Ploce Gate is the main entrance to the Old Town from the eastern side which also has a bridge like Pile Gate. This gate (also known as Vrata od Ploca) was built in the 14th century. The bridge was built according to the prototype of Pile Gate's bridge by Ivan of Siena, but later it was demolished and after reparation, the wooden drawbridge had been inserted. Crossing this bridge you can come to the Revelin fortress and in the continuation, there is the main street of Dubrovnik City- Stradun. Ploče Gates has also Inner and Outer Gates.The Inner Ploce Gate was built in Romanesque style and are really small. Above the gate stands a stone statue of the patron of Dubrovnik, St. Blaise, also in a Romanesque style. During the period of Austrian occupation at the end of the 19th century, the new, larger gates were opened next to these. The Outer Ploce gate was built in 1450 by Simeone Della Cava. In the 19th century, the gate were widened. Walk Through History & Make Your History Today! Magnificent city walls that surround our old town are a statement of wealth and safety.